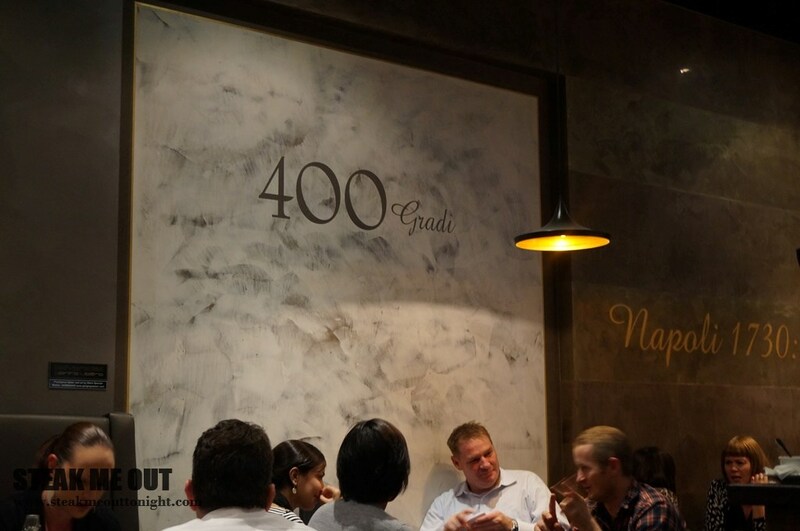 400 Gradi has been all the rage lately, gaining widespread publicity after they won the title for world’s best margarita about two months ago. Learning of this, I rang and booked a table for dinner, which turned out to be a winning idea – when we got there the line was massive. 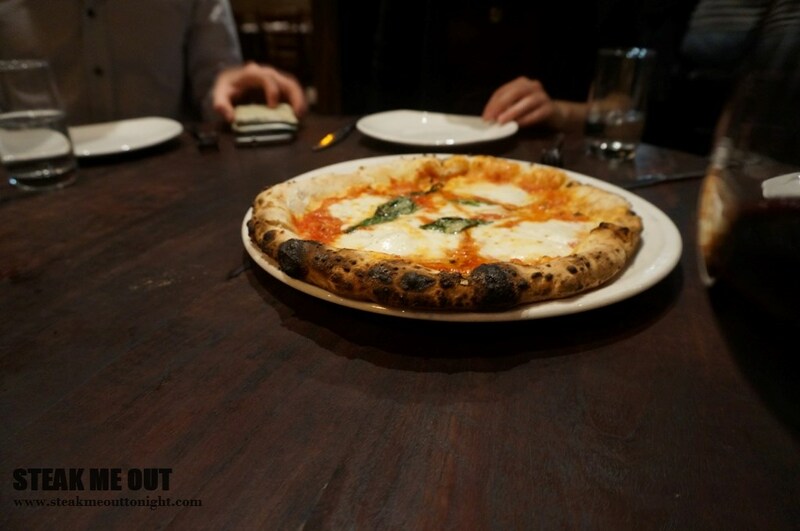 On being seated, the place was packed and the pizza oven was working overtime. There were 6 of us and we decided to share 5 pizzas: the Margarita (of course), the Paceana, Suprema, Alla Romana and the Ortonana pizza, as well as those we ordered some of their Arancini and Olives to start with. Everything came out at once, and it was messy. Not in a sense of everything everywhere, but more due to everyone being so hungry and reaching for something different. I started with the Margarita and it didn’t disappoint. The cheese melted to perfection, carrying heaps of flavour with the addition of basil on top giving it an extra kick, while the tomato was amazing and rich, but light at the same time, all sitting on a near perfect pizza dough. 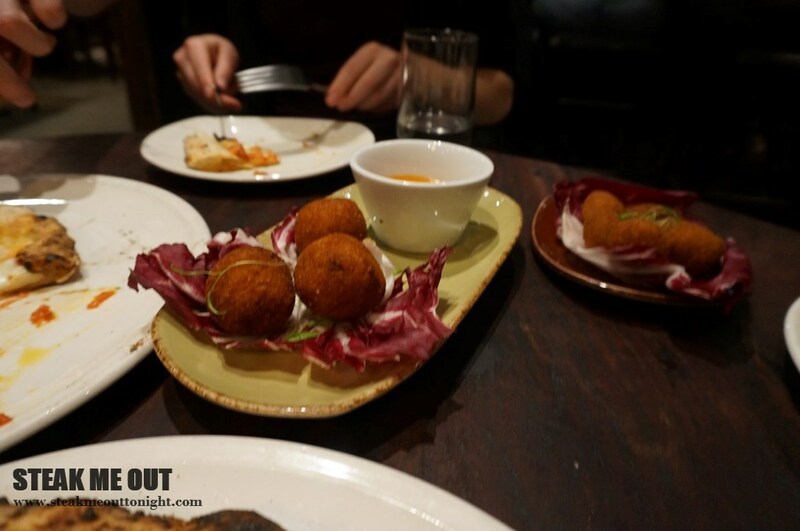 After starting with the margarita I moved onto the Olives and Arrancini, I don’t really know what to say about these; they were average at best, crumbed, fried and slightly bland. Nothing really stood out. 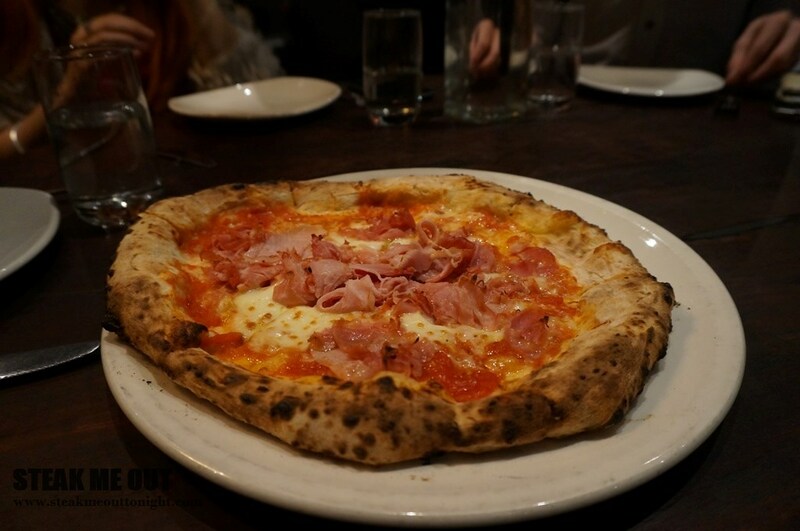 The Alla Romano was nice, the Parma ham added saltiness but was lacking slightly on the tomato. After the Margarita it was probably the one I enjoyed most. After that I tried the Pasenana. The sausage and tomato was nice but the other stuff on top (can’t remember what it was for the life of me) ruined it somewhat. 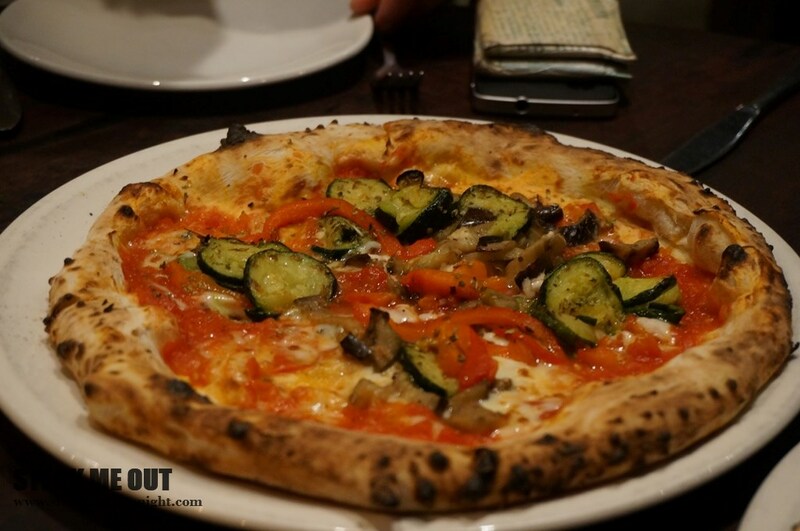 The Ortana was the roasted vegetable pizza. It was good, but I felt the vegetables made the base and overall pizza slightly soggier. Lastly I had the Suprema. It was a Bianca pizza, and I dislike bare base pizzas. That’s my stance on it and I haven’t had one yet to change my mind, this was no exception. 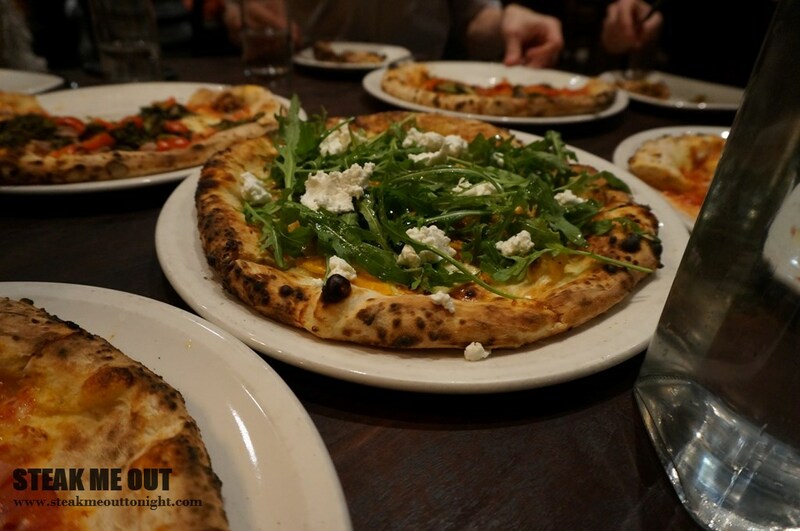 While it was tasty and well executed, I’d still prefer a normal pizza. While I can’t say it’s the best in the world (a panel of judges did) the Margarita was definitely the best I have had. 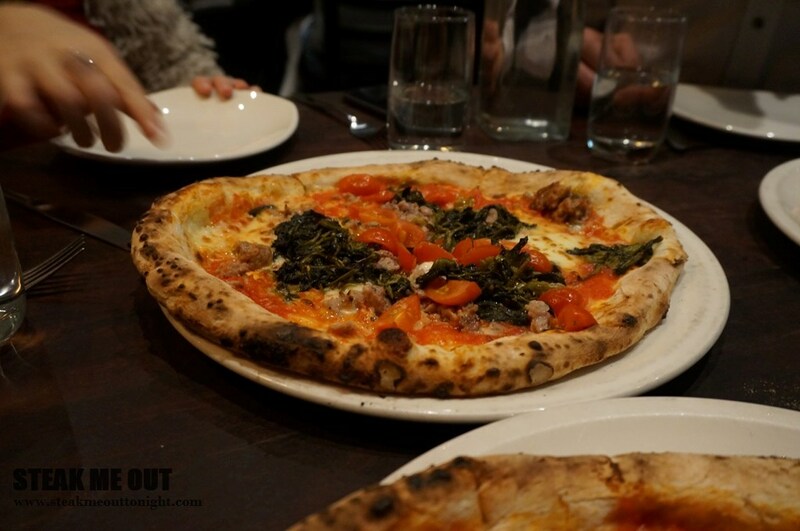 Posted on July 16, 2014 July 16, 2014 by AdrielPosted in Melbourne, SteakLESSTagged Great, Melbourne, Pizza. Looks great going to have to try the place!